Hortense Odlum was Robert Walker's aunt. She was a younger sister of Robert's mother, Zella McQuarrie Walker. At least two times that we know of "Aunt Tenny" stepped into Robert's life to try to make things better for him. Once when his parents were having great difficulty with him, Aunt Tenny offered to finance sending him from Utah to the San Diego Army and Navy Military Academy in Carlsbad, California. As a child, Hortense would describe herself as "difficult" and "strong-willed" and felt a connection with Robert, the youngest of the four Walker boys. Later, when Robert's love of acting matched her own love of the art, Aunt Tenny offered to finance him to attend the prestigious American Academy of Dramatic Arts in New York City. The first year he was there, he stayed in her home. Hortense and Floyd were divorced in 1935 and he later married Jackie Cochran who was to become an award-winning American aviatrix. 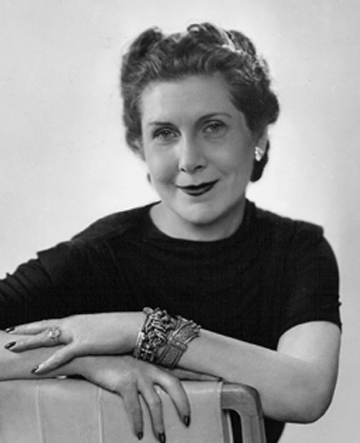 Hortense wrote a book (about her life experiences and in particular becoming president of Bonwit Teller) called "A Woman's Place" published in 1939. The article below titled, "Let's Talk Shop", gives a unique perspective on her ability to turn Bonwit Teller toward success in the 1930's. Obituary: New York Times, January 13, 1970 - "Hortense Odlum of Bonwit Teller: Head of Store Here From 1934 - 1944 is Dead"